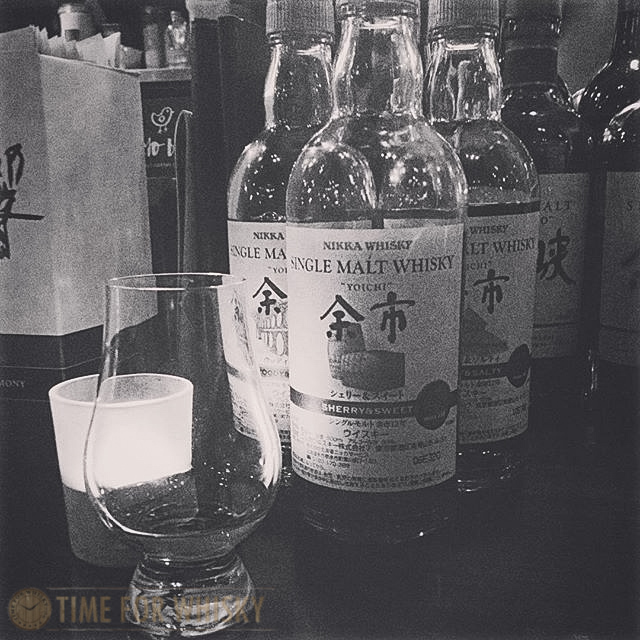 Time for Whisky.com: Tasted #277: Nikka (Yoichi) "Woody & Vanillic"
Tasted #277: Nikka (Yoichi) "Woody & Vanillic"
At the height of the Japanese whisky craze last year, anything and everything Japanese seemed to fetch quite a pretty penny. Nevertheless, the old adage is that one should really enjoy the whisky and not to hoard it for resale. Though personally, I am of the opinion that the trend might slightly buck, given a number of softer than expected sales at the recent Bonham's auction that Martin attended recently. all imparting different notes. Though not rare and certainly not astronomically priced, the Nikka line up was thoroughly enjoyable and delicious. The 'Woody & Vanillic' was my favourite of the three with loads of vanilla, oak and strawberry with a lingering finish. It was delicious stuff. The below shows all three expressions lined up though I can't seem to find the original shot so I am relaying my Instagram take of the shot. The nose and palate pack quite a bit of sophistication and I do like the big hit of vanilla though the 'woodiness' may not resonate with everyone. Quite a simple dram that you can enjoy any day of the week. Nose: Exciting - there's loads of vanilla, banana, raisin and sweet candy. Palate: Rich and chewy, the vanilla continues on the palate and you can also taste the oak (perhaps what led to the woody name). I also get a nice layer of sweet notes; sweet red frogs (candy), strawberry, pineapple. The palate then slowly fizzles and becomes peppery, black pepper. Finish: Reasonably long though quite oaky and tannic.